The refrigerator, with its long history, has been a mainstay in many homes today, and that’s only right. Who doesn’t want to preserve food for longer and drink cold beverages? But nowadays, there are several different variants to the refrigerators. One of them is the specially designed beverage center, and the Avanti Beverage Center models illustrate just how useful these things can be. 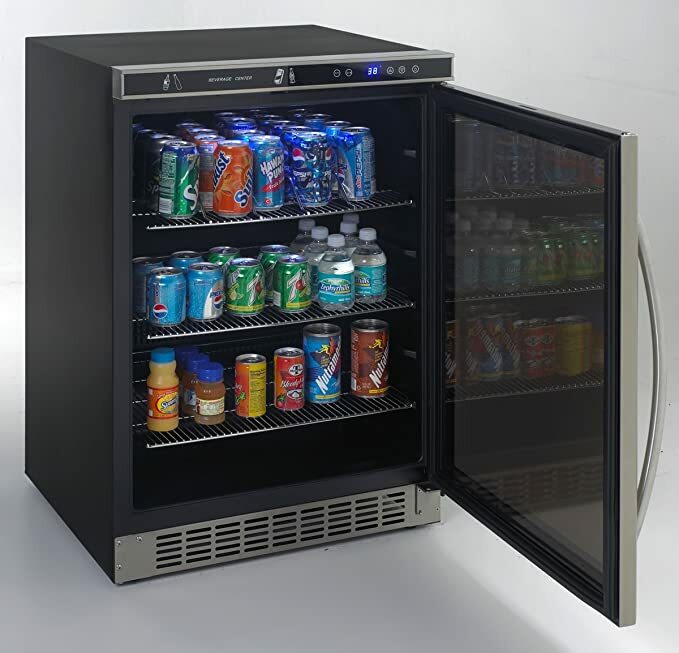 A beverage center is generally defined as a more compact version of the refrigerator, and as its name implies it’s geared towards accommodating drinks in cans and bottles. But the Avanti is not just a compact fridge and it may even have some features found in wine coolers. Even if you do have a refrigerator in your home already, you may find yourself appreciating the benefits of having a beverage center in your home. You get more space. Of course, the first thing you notice is that buying a beverage center gives you more space in your main refrigerator. And that means you can preserve more food from spoilage, since you can reserve the fridge for food products while you put all your drinks in your Avanti beverage cooler. How Does It Do In Regards of Energy? Energy savings are possible. You may also find that you can reduce your electric bill when you have a smaller fridge for your beverages. When you put your drinks in the refrigerator, the fridge needs to once again work hard to cool the inside when you open the door. Now if you have a party and you have lots of people getting drinks over a period of time, your fridge becomes overworked because it needs to cool down such a large volume of space every time the door is opened. 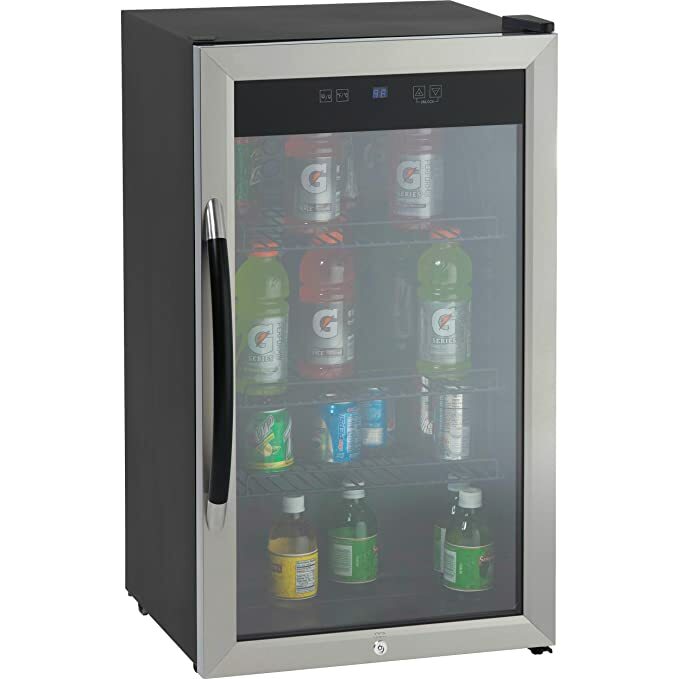 Now with a smaller unit such as the Avanti beverage cooler 3.1 cu ft., it doesn’t need to work hard for that long to cool the entire volume of space. You can have it in a more convenient location. Since it’s primarily for drinks, you can put your Avanti beverage refrigerator where you or your friends hang out. You can put it in the home theater room, in the lounge, in the guest room, or in your own bedroom. When you need a drink, you don’t have to get up and go to the kitchen. If you’re watching a football game, you can always get a drink during the huddle or during a time out. But if you have to go to the kitchen, you may miss a touchdown or a huge interception that changes the complexion of the game. The fact that it’s great for guest rooms (so your guest doesn’t have to go to the kitchen—and wander around the house—when they need to drink) has made these things a favorite appliance for hotel and motel rooms everywhere. Avanti 12.5 Cu. Ft. Beverage Center The Avanti brand is seen in many hotel rooms, just as it is ubiquitous in offices, dorm rooms, apartments, and homes. What About Cost and Positioning? It’s cheaper than a regular fridge. This is especially true of Avanti, which specializes in affordable beverage coolers. 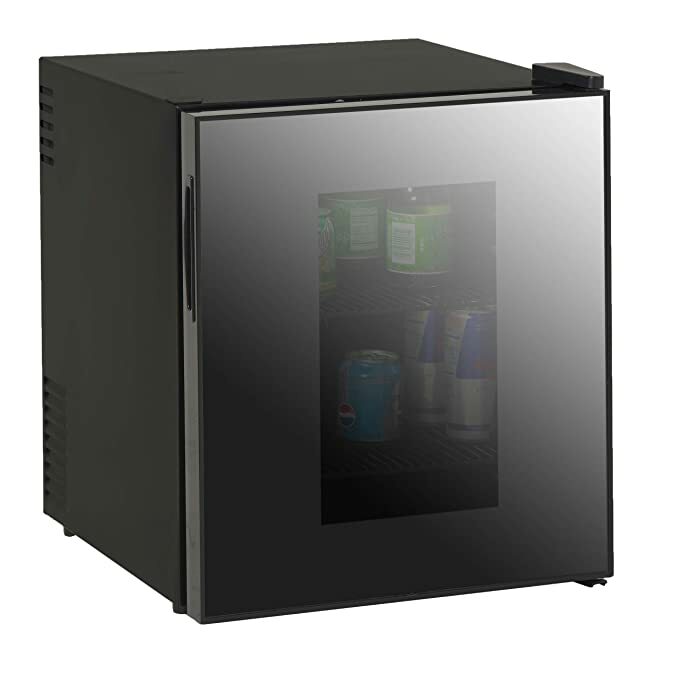 Most Avanti beverage cooler reviews do mention the affordability of the Avanti units. If you’re on a budget, this is a huge deal. It’s great for offices and dorms. The compact size lets people hydrate while working or studying. After all, in the home the fridge is often used to preserve ingredients for meals. But you don’t usually cook in the office or in your dorm room. Also, most of the time you simply finish your meals in the office or in the dorm room, so there’s very little need to save leftovers. The smaller units are easily transported. Some Avanti brands weigh only 55 pounds, and that’s easy enough for two people to handle. 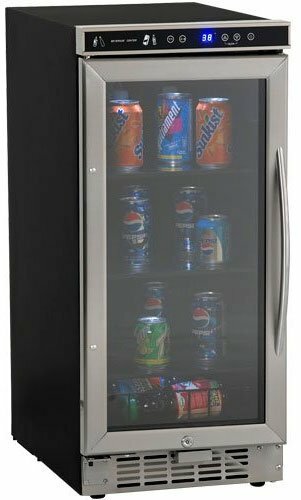 When you imagine having to put in a full fridge in a top floor apartment or dorm room, this small size is truly a blessing. Avanti brands have modern features. Take the 3.1 cu. ft. Beverage Cooler from Avanti as an example. It’s small, and that’s a good thing. It looks great with its black cabinet look and its stainless steel frame at the front. The glass door is double-pane and tempered. The temperature control offers a full range. There’s LED lighting inside. The two shelves are adjustable and even removable. The door is reversible, so you can open it on the left or right. Drinks in various containers can be accommodated. Some beverage centers are meant primarily for drinks in cans, while others are designed for bottles. 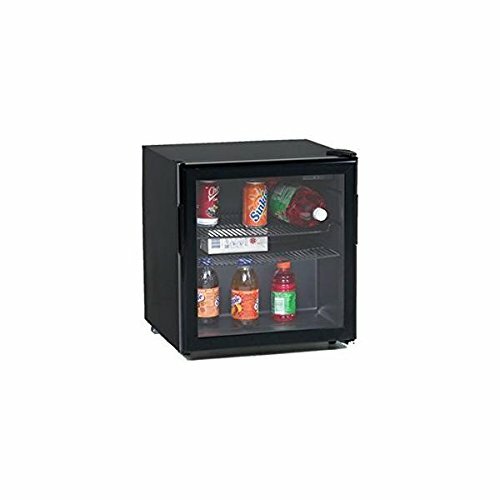 Avanti brands generally offer adjustable shelves so you can put in various drinks inside. If the drink containers are large, you can just remove the shelves altogether. The clear glass lets you see in. Often you find yourself opening the fridge to see what’s inside, right? You waste energy when you just want to satisfy your curiosity. 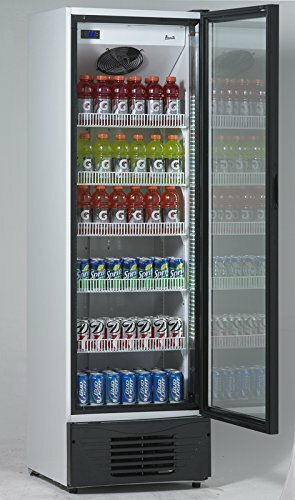 Now you can see at a glance what’s inside the beverage center, as all Avanti beverage center models offer transparent glass. Avanti has a long history. It’s been making consumer appliances for more than 41 years, and its engineering, testing, and quality control departments are all in-house. They don’t subcontract the work to somebody else. Admittedly, some units a few years ago received a spate of complaints regarding durability, but these have been fixed in recent years and with their latest available models. As we’ve already mentioned, a few years ago a handful of Avanti models received a rather high number of complaints regarding durability. You can see some of them on Amazon. Some sellers were offering substandard units of discontinued models, and that has rather sullied the reputation of the brand somewhat. But it’s popular among many hotel chains, offices, dorms, and homes for a reason. So you need to do some digging when you buy your Avanti. A reputable seller is a must! If you want to increase the durability of your Avanti, you may also want to get a surge protector as added insurance. Nowadays, the Avanti Beverage Center is a great buy. It’s affordable, the quality is now more robust, and the modern features are outstanding. Get one for your bedroom, office, or entertainment room and you’ll find yourself appreciating the convenience it offers.